Rhode Island Gov. Gina Raimondo, creator of the controversial RhodeWorks program, will remain on the ballot for this year’s general election to take on two-time rival Allan Fung. 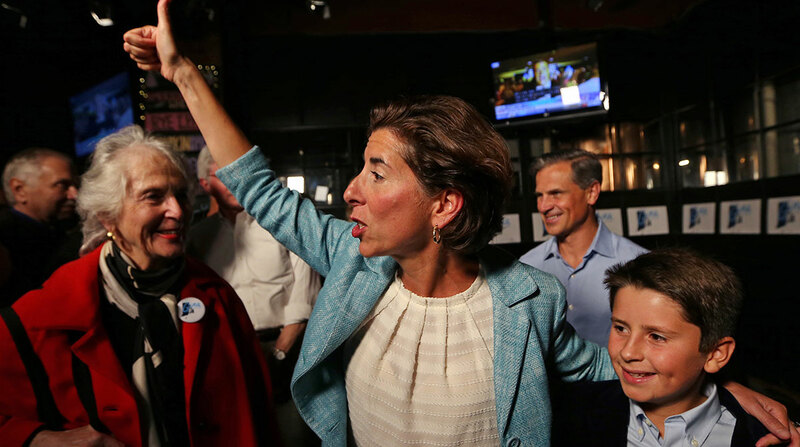 Raimondo, the Democratic incumbent who won with 56% of the vote, was serving as state treasurer when she ran for her first term as governor in 2014. She competed this year against Matt Brown, a former Rhode Island secretary of state, and Spencer Dickinson, who previously served in the Rhode Island House of Representatives. Fung, a Republican and the mayor of Cranston, also secured 56% of the vote and will square off against Raimondo in November. It will be their second meeting. Fung, who lost to Raimondo in 2014, bested Patricia Morgan, minority leader of the state’s General Assembly. Fung has vowed to cancel truck-only tolls — a key element of Raimondo’s RhodeWorks program to fund infrastructure projects. RhodeWorks is projected to generate $4.7 billion to fund such projects as bridge replacements and road improvements. According to the Rhode Island Department of Transportation, about 22% of the state’s 1,162 bridges are structurally deficient. The first two (of an eventual 13) truck-tolling gantries in Rhode Island became operational on June 11. They are in Hopkinton and Exeter, which toe the Connecticut border. The Hopkinton toll is $3.25, and the Exeter toll is $3.50. The tolls are limited to one charge per facility, per day in each direction and do not exceed $40 per day. Rhode Island Trucking Association and American Trucking Associations have been staunch opponents of the truck-tolling plan. ATA, Cumberland Farms Inc., M&M Transport Services Inc. and New England Motor Freight filed a lawsuit July 10 contesting the constitutionality of the tolling program. The lawsuit maintains that truck tolls discriminate against interstate commerce. If a state charges a user fee for access to channels of interstate commerce, that fee has to be a fair approximation of use and cannot discriminate between in-state and out-of-state interests, according to the suit. A poll by television station WPRI and Roger Williams University, surveying 407 likely voters, projects Raimondo at 39% and Fung at 37%, with 14% of voters undecided. Rhode Island’s general election is Nov. 6.